Pontotoc, Texas, was founded by Benjamin Willis in 1859. 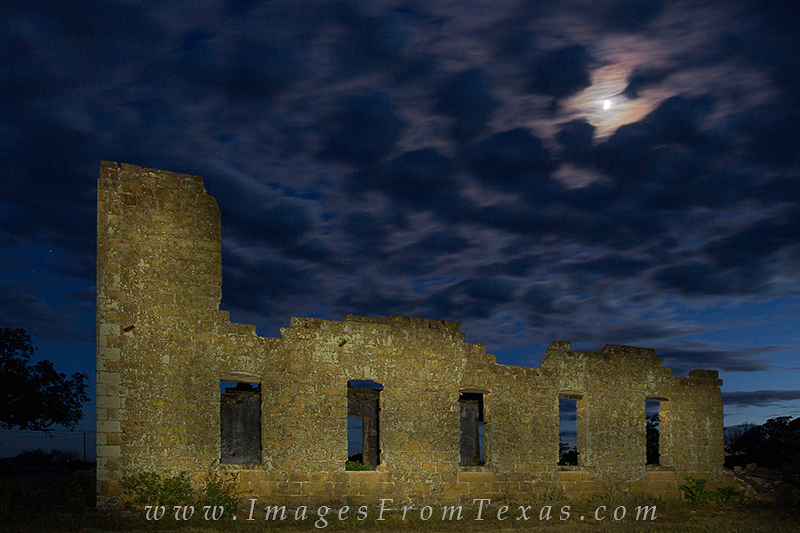 The old town lies at the edge of Mason County in the Texas Hill Country. The town's population was wiped out in 1887 from a typhoid epidemic. This image of Texas shows the old school building that served as many as 200 students at its peak before the typhoid outbreak. Photo © copyright by Rob Greebon.